Whether you have lost one tooth, several teeth, or have been living without teeth for years, dental implants can help improve the quality of your life. Dental implants are used to replace tooth roots. Implants provide a strong foundation for fixed or removable replacement teeth. Dental implants are small anchors made of biocompatible metal, called titanium, placed in the jawbone. The anchors begin to fuse with the bone over a few months. After the fusing process, known as osseointegration, abutment posts are inserted into the anchors to allow for the attachment of the replacement teeth. To fabricate the replacement teeth, an impression is taken by your general dentist and a model of the bite is created. The replacement teeth are based on this model. Replacement teeth can either be crowns, bridges or dentures. • Dental implants are artificial tooth replacements that are used to counter tooth loss. It is generally made of titanium and covered with a porcelain crown or a bridge to give the appearance of real teeth. • They are designed to provide a foundation for replacement teeth which look, feel and function like natural teeth. • Patients with dental implants can smile with confidence. Placement of dental implants is a minor surgical procedure performed in one or two office visits. If you have one-stage implants, the posts will extend through the gums while your tissues heal, and you will not need a second surgery. If you have two-stage implants, they will be placed under the gums while the bone heals. You will need a second, simple surgery to uncover them and attach a post to support your replacement teeth. After the implants are placed, the bone attaches to them and anchors them within your jaw. In the meantime, your dentist can adjust your full denture or partial prosthesis for temporary use. o Your medical history: Discuss all medications and existing medical conditions with your dentist beforehand. Generally, if you are healthy enough to have typical dental work done, you can undergo the dental implant procedure. o Bone loss: If you have a good amount of bone remaining, dental implants may still be successful. If there is not enough bone to support the implants, bone-grafting procedures may be required before a dental implant can be placed. o Periodontal issues: Moderate to severe periodontal disease may require treatment prior to dental implant placement. Dental implants cannot be placed when gum disease is present. o Smoking or tobacco use: If you’re a smoker or tobacco user, this can affect the success of the implant as well as your overall dental health. This will be discussed with you by the dentist as care will vary depending upon the type of implant therapy you receive. Oral and written instructions will be provided. Will my implants feel and function like natural teeth? Implants function much more like natural teeth than dentures. Implants are supported by the bone, not gum tissues, allowing 90 percent of chewing force to be restored when functioning with natural teeth. Are implants noticeable? Will they look like my natural teeth? Not at all. Since the replacement tooth or teeth covers the entire implant post, no one will know you have dental implants unless you tell them. 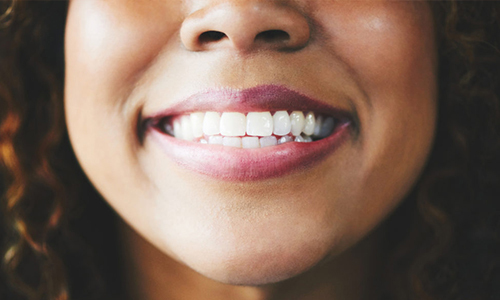 Implants do positively affect the cosmetic appearance of your teeth; however dentists look more at the health and functionality benefits that will be made possible. Is hospitalization necessary for the implant procedure? Not usually, most implant procedures are completed with a local anesthetic in office. Other sedation methods may also be available. The only circumstances a brief hospital stay may be necessary is if a patient’s health is compromised or a complex surgical procedure is required. Implants can usually be placed in only one or two visits, with some cases fully completed in less than six weeks. However, the total length of the process is determined by factors such as length of healing time, type of implant and type of tooth replacement. When your initial procedure is completed, you’ll be fitted with temporary teeth allowing you to eat and function normally. Once you are fully healed, you’ll return to receive your new permanent teeth. How are implants specifically placed? Implants are placed surgically. Surgery time and what post-surgical care will be necessary depend on the complexity of the case and type of implant selected. After the procedure, you will be prescribed medication and receive recommendations the benefit your comfort and healing time. Will I experience any pain or discomfort? What is the recovery period? Anesthesia provided during the procedure will prevent any pain or discomfort. Afterwards, medication for pain, swelling or to prevent infections will be prescribed as well. Recovery times can vary. Many only experience swelling and don’t need pain medication after the procedure. A soft food diet will be necessary for a few weeks, which allows your implants to heal. After that, you can enjoy your favorite foods again. When will my permanent replacement tooth or teeth be attached? Placing your permanent replacement(s) depends upon your healing time. This also depends upon the type of implant placed and whether or not the implant is allowed to osseointegrate – implants that heal into the bone. With most endosseous implants, the replacement tooth or teeth can be constructed within a few weeks of surgery and then placed once the implant is fully healed. What are the chances of infection or other problems occurring? The possibility of infection occurring in areas around implants is the same for natural teeth. Practicing good oral health will help prevent infection. In addition, since implants are made from biocompatible materials, the normally are not rejected by the body. The longevity of implants depends upon certain factors such as your oral and overall health, condition of your bone structure and jaw and how well the implants are taken care of. Although no definite time frame can be given, healthy individuals who practice good oral hygiene typically enjoy the benefits of implants for many years.